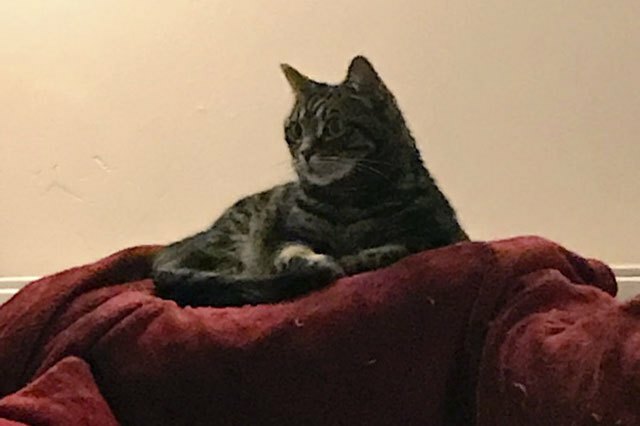 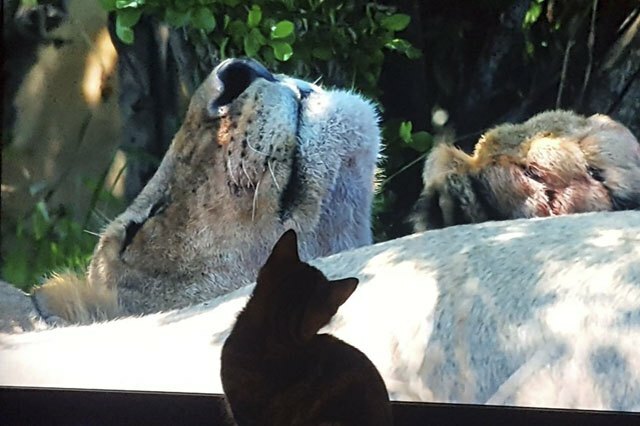 "Jojo has been looking forward to tonight’s #Dynasties"
"My tiny cat thinks it’s a lion"
"30 seconds later, they ran away from a shadow"
"Froze immediately at the very site of her big cat counterparts"
"UPDATE: Stepped inside for a closer look 😬"
"My cat, Indy, is engrossed in this episode of #Dynasties"
"I'm really into this show! 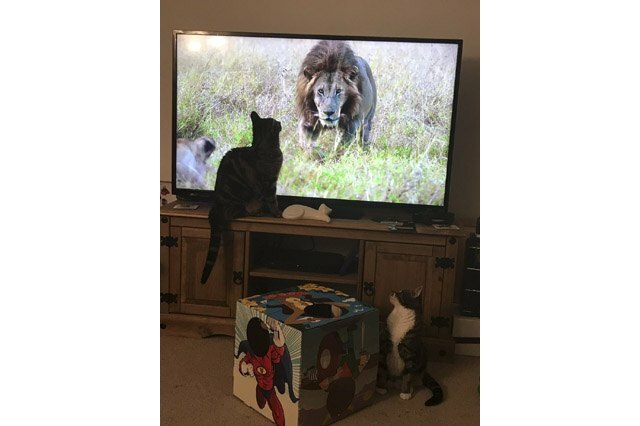 Their scratching posts move! 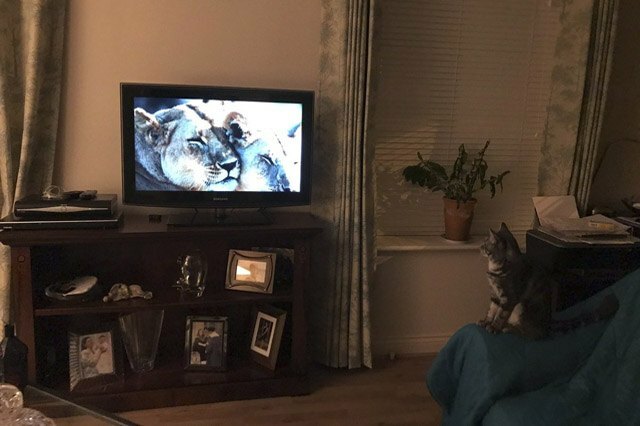 #Dynasties"
"She’s following every big cat move. 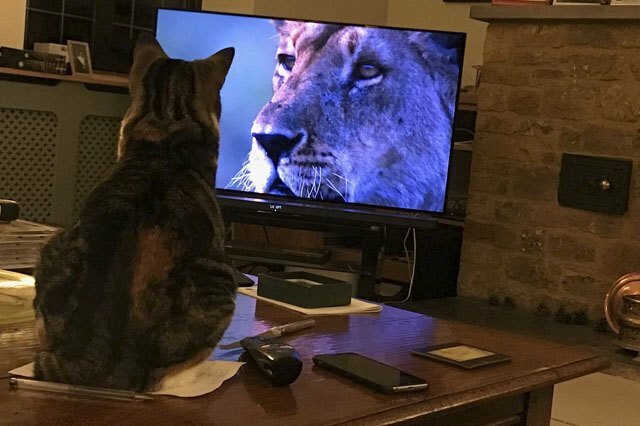 Complete concentration." 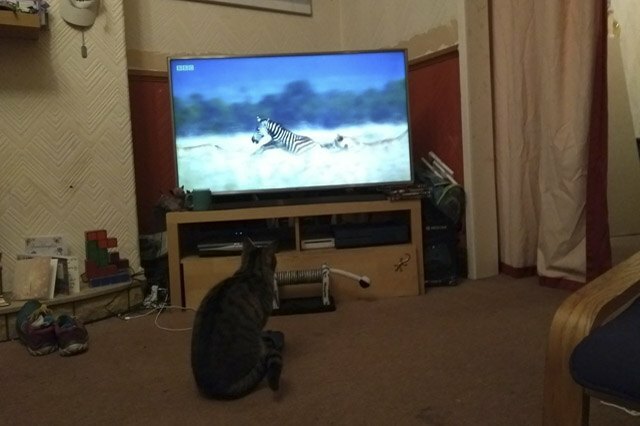 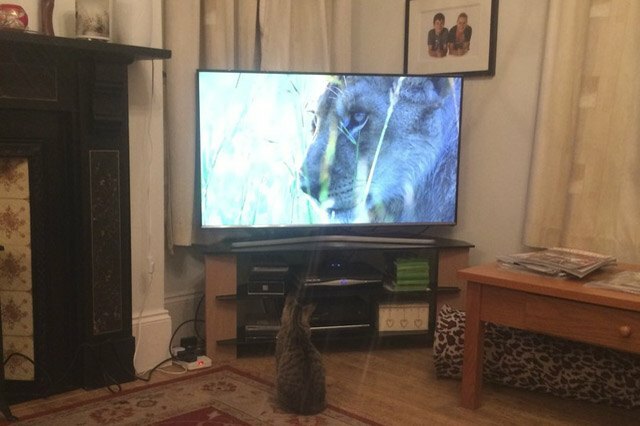 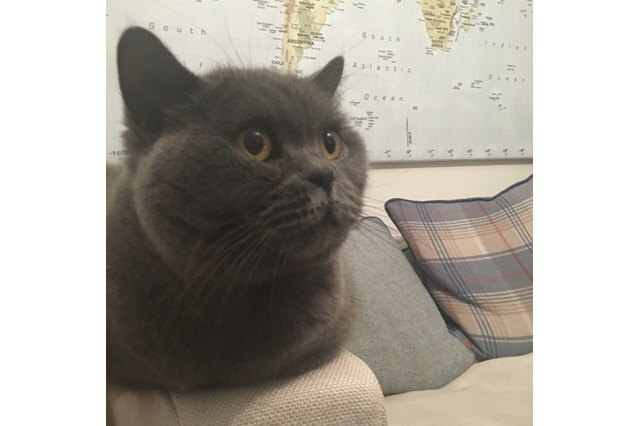 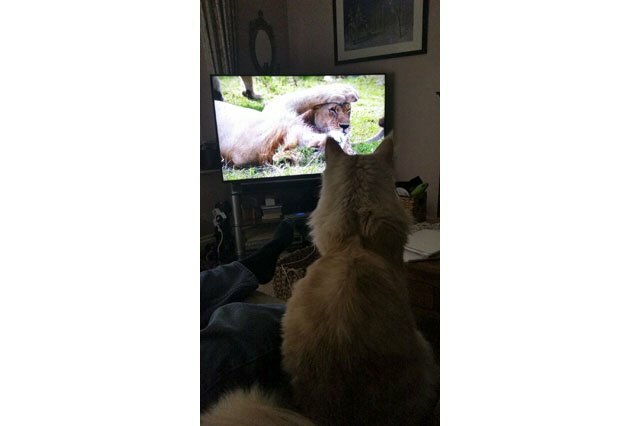 "Storm is really loving the lions on #Dynasties 🐾😂"
"Not sure who enjoyed it more #Cats #Dynasties"
"My little lion is transfixed by #Dynasties"
"Learning tips and tricks from the big guys"
"My cat never reacts to TV but I think #Dynasties has her attention"
"One day, I'll be as big as you"
"Buddy is unimpressed by Charm leaving her cub 😭 #Dynasties"
"Think she recognizes her distant relatives? 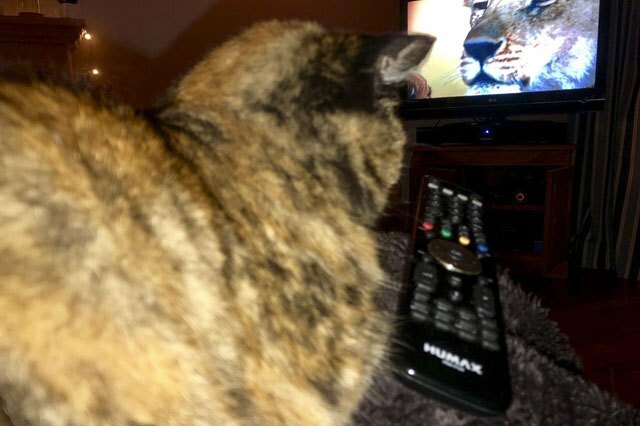 #Dynasties"
"The cats have taken custody of the remote control." 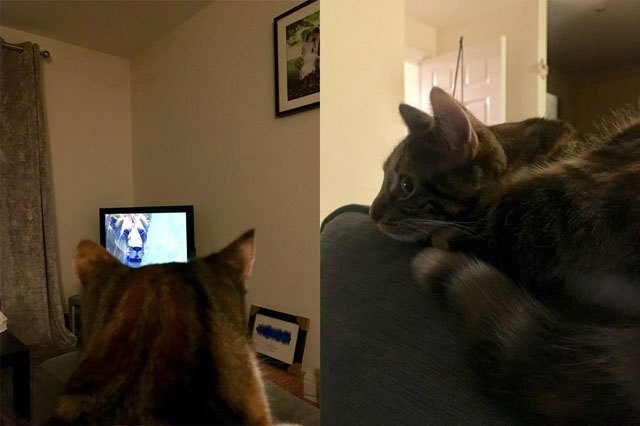 "Like this for an hour curled up to sleep the second the credits rolled." 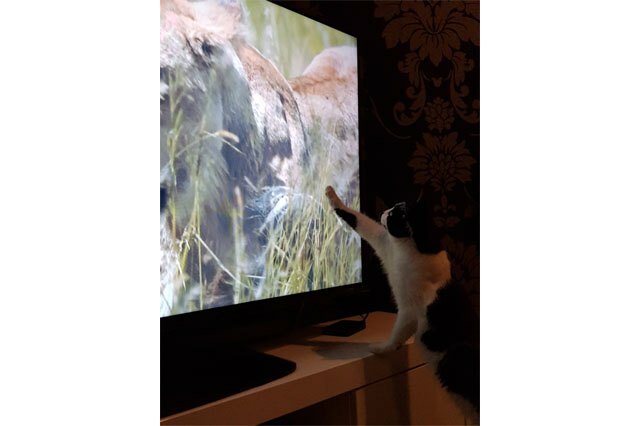 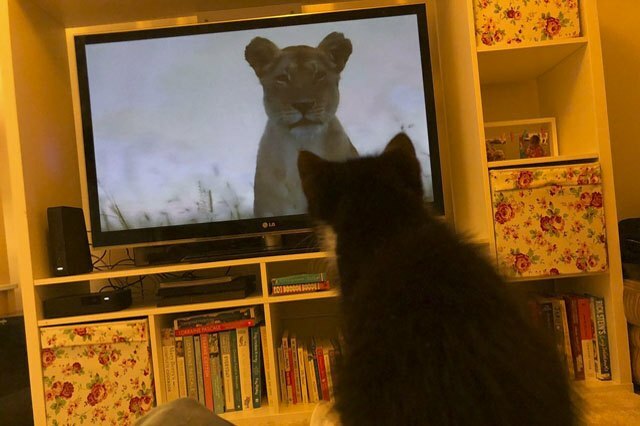 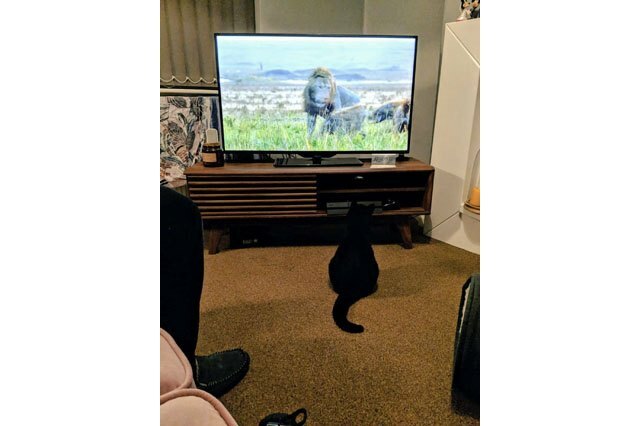 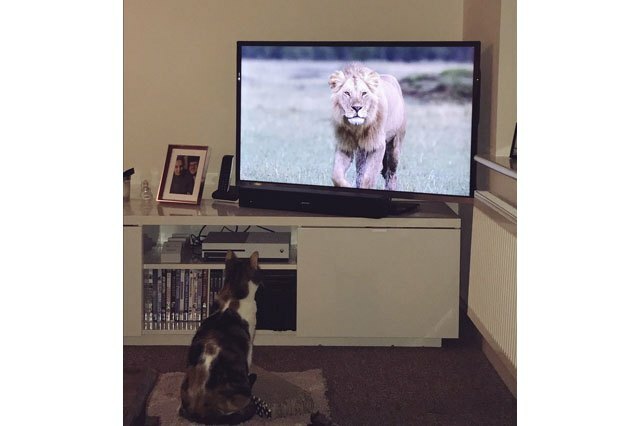 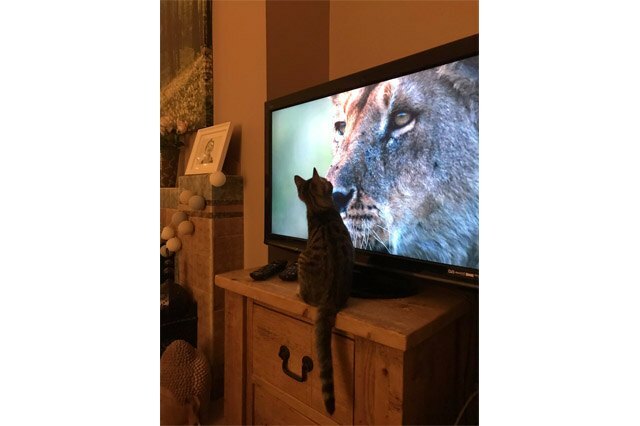 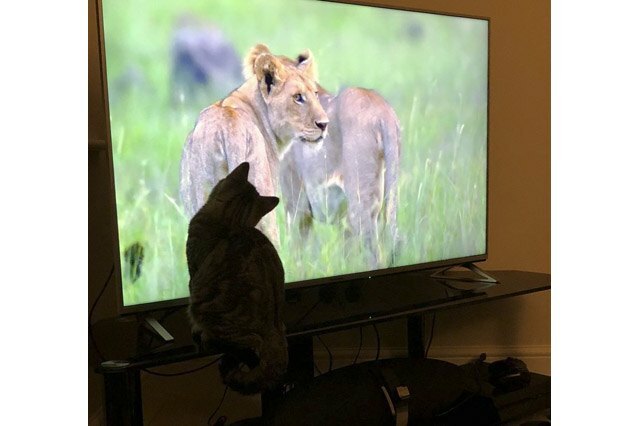 "I think Jasper cat wants to join the pride 🦁🐱 #Dynasties"